Netherlands: One person dead, several others injured in shooting in Dutch city Utrecht: The shooting happened in the Dutch city of Utrecht. The anti-terrorism unit of the police has cordoned off the area. Reports said that three helicopters have been dispatched to the area. The shooting incident comes three days after the attack on worshippers in Christchurch, New Zealand. Netherlands: One person dead, several others injured in shooting in Dutch city Utrecht: Several people were injured in the shooting incident in Netherland on Monday. 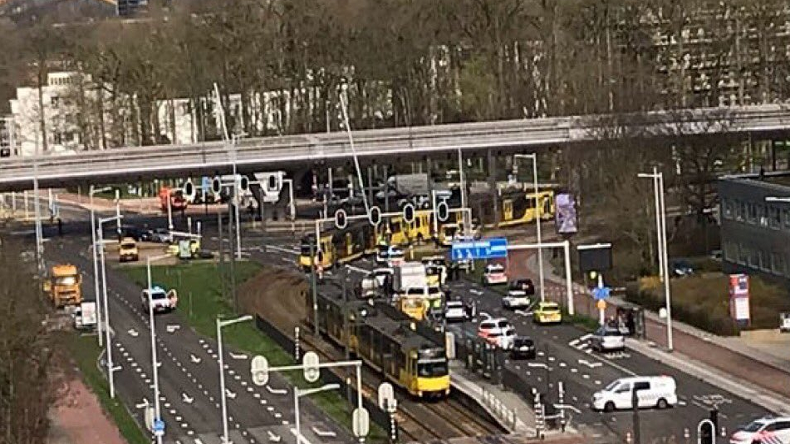 The shooting happened in the Dutch city of Utrecht when a gunman opened fire on a tram. The anti-terrorism unit of the police has cordoned off the area. Reports said that three helicopters have been dispatched to the area. Police have appealed people to stay away from the shooting site. The shooting happened at 10:45 local time (09:45 GMT). According to reports, police have instructed schools to keep doors closed as the attacker is still at large. Police spokesman said that gunshots were fired in a tram and several people were injured, adding that no arrests have been made. The security was beefed up at the schools, transportation hubs and the mosques. Netherlands’ Prime Minister Mark Rutte said that he was deeply concerned. He also cancelled his weekly coalition talks. Before the attack, Tarrant emailed his 87-page, 16,000-word rascist manifesto to Prime Minister Jacinda Ardern, leader of the opposition, parliament speaker and around 70 media organizations. He had named these two mosques in the email. The 28-year-old far-right extremist termed immigrants as invaders in the document sent to prime minister. The Australian man referred the US president Donald Trump as a symbol of renewed white identity. Trump immediately condemned the attack and spoke to PM Ardern. The prime minister of New Zealand described the shooting as a terror attack. She also referred to shooting in Al Noor and Linwood mosques as one of the country’s darkest days. She would meet the families of victims on Wednesday. Jacinda said that the government would reform the New Zealand’s gun law in the wake of terror attack. Most worshippers slain in the shooting were either refugees or migrants belonging to India, Pakistan, Afghanistan, Malaysia, Indonesia, Turkey and Somalia. According to reports, three-year-old Mucad Ibrahim, who was at Al Noor Mosque with his father, is the youngest victim. At least 50 people were injured in the shooting. Police arrested the accused Tarrant and produced him in the court. He was charged with one count of murder. The court remanded him in the custody.